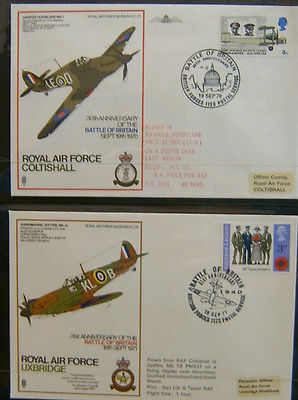 An excellent collection of Flown Covers put together by the Royal Air Force Museum in aid of their Appeal Fund. 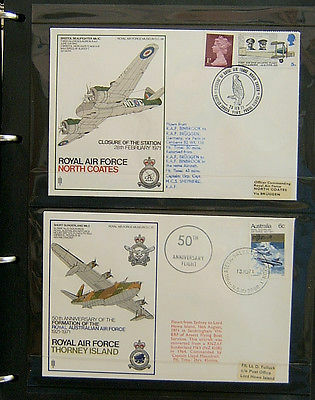 The Album contains 40 different Flown Covers al of which flown on special flights made on the occasions commemorated by the stamps on the covers. I have photographed several pages and all are in excellent condition. 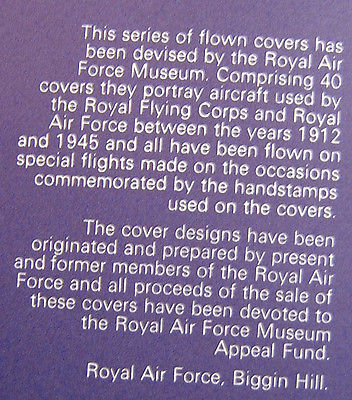 I doubt they have ver been out of their protective sleeves. 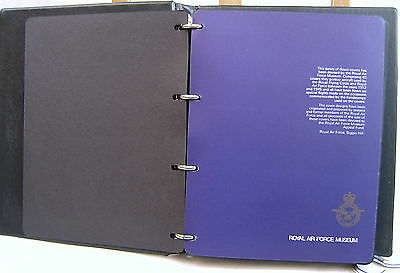 The 40 Flown Covers are contained in a faux-leather ring binder with the RAF legend embossed in gold on the front. 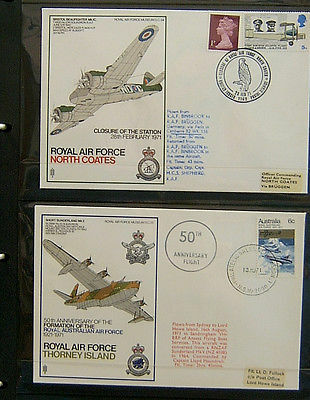 If it helps, I could list the covers but I will not split this offer.